So you would like to learn Wolof? This site offers links to a whole lot of resources both on and off the Internet to help you do just that. We give you some guidance about how to go about learning Wolof, especially if you have access to a native Wolof speaker. We have provided a guide on how to make each sound in Wolof. We have also provided a detailed Senegalese Wolof grammar manual (.pdf format, 382kB) and a number of vocabulary resource pages, listing Wolof vocabulary for a particular subject. Then there are resources you might find helpful. And the Internet provides plenty of things for you to read and listen to in Wolof. A good number of institutions in the U.S.A and Europe actually have Wolof courses. Finally there are various articles about the Wolof language and its use, right from the very light to serious academic works. A new addition to the site is a series of modules in Wolof for the program Online Bible including those parts of the Bible in Wolof published to date, a gospel harmony, a Wolof Bible dictionary, and a Wolof-English Bible dictionary-concordance. Do please email us with your opinions about this site, links that should be included, corrections and suggestions for improvement. We have concentrated on content rather than fancy graphics and presentations. This site is still under construction. Come back regularly for access to more resources. Perhaps you have been studying Wolof and have developed resources that you would like to share with others. Send them to us, together with any credit details, and we will do our best to format it for the Internet and publish it on this site. Wolof is THE language of Senegal, and one of six national languages in Senegal given official recognition by the Government (together with Jola, Manding, Pulaar, Sereer and Soninke). At least 80% of the population of 14 million of Senegal understand Wolof, whereas only a minority are considered literate in French (2002 estimate CIA factbook), even though Senegal is officially a Francophone country. Strictly speaking Wolof is the language of the Wolof people - the largest people group in Senegal comprising of more than 6 million people. Significant populations of Wolof are also found in The Gambia, Mauritania, C�te d'Ivoire, Mali, France, Italy, Spain and the U.S.A. It is also the trade language of the majority of non-Wolof people groups in Senegal. That is to say, it is the language of choice when people of different ethnic groups meet, even in government offices and universities. And increasingly it is becoming the first language of many young people from non-Wolof people groups in Senegal, especially in cities. Wolof is an official language in The Gambia (together with Pulaar and Manding) where it is spoken by 13% of the population, and Mauritania (together with Pulaar and Soninke) where it is spoken by 22% of the population. Wolof belongs to the Northern Branch of the West Atlantic subcategory of the NigerCongo language family. It has an official alphabet (45 consonants and 18 vowels) and system of writing, and a semi-official system of spelling. The writing system is phonetic hence Wolof is spoken as it is written and written as it is spoken, with the exception of dialectical differences. The official alphabet uses Roman characters. There is also a system of writing based on Arabic characters. This is more widely understood than the Roman system in spite of the fact that there is no universal system for representing the many consonants and vowels in Wolof which do not exist in Arabic. Wolof is an extremely rich language with a corpus of over 500,000 words. A huge wealth of literature on the Wolof language exists for the specialist, mainly in French, based on solid research, some dating back as far as the 18th century. Wolof has several characteristics, shared by many African languages, which make it very different to English or French. It is a language of noun classes. Wolof divides nouns into 10 classes (8 singular and 2 plural), each with its own set of articles and pronouns. English has 2 classes (singular, plural), and French 4 (masculine and feminine in singular and plural forms). The articles, pronouns and modifiers derived from these noun classes are further modified by the physical relation of the object in question to the speaker. That is to say how close or far away the object is. The verbal tense system is based on modes rather than time, with greater emphasis being placed on whether the action is complete or not, than on when the action occurred. In conjugation only the person-mode-aspect markers change whilst the verb root remains invariable. There are no adjectives in Wolof, their function being replaced by relative clauses formed with adjectival verbs. The verb "to be" also does not exist, although Wolof has a number of mechanisms for predicating a phrase. So with that introduction, welcome to my world of the Wolof language! Be sure to have a good look around. Of course we should begin with other web sites which are there for you to learn basic Wolof. The Wolof Online site offers a combination of an online/offline Wolof tutorial and live, chat-based interaction with a Wolof instructor. The web page includes a sample course and audio files. Le Petit Wolof, the Wolof-Multilanguage Live Dictionary Project includes French and English-Wolof dictionaries, grammar, conversation and links. The site also advertises private paid classes via Skype with Abdoulaye Dial owner of the site who teaches Wolof in St Louis. Abdoulaye understands English and French. Amadou has set up a Wolof Language and Culture blog with a variety of useful pages. Loïc-Michel PERRIN has developped an excellent site for serious language students called Wolof ci Web bi. Worth the time to explore. AfroWeb have a site including basic expressions (with sound files), phonetics, grammar and a small dictionary. 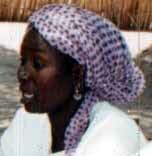 A new site, toulangues.org, have set up a section on Wolof. It is evidently still under development, but looks promising. Senegalaisement.com offer a downloadable course in Wolof and an installable dictionary. The course is in French. There is also an online Swedish / English / dictionary of Gambian wolof. WebSabar also provide a description of the Wolof language in French, and explanation of the sounds, and a small phrase list. The Association Jeune Continent-J.Sineau has a short list of words and phrases.